Dr. Joe Bradford is a friend of mine and was a USDA researcher. He had been involved in two very important research projects. 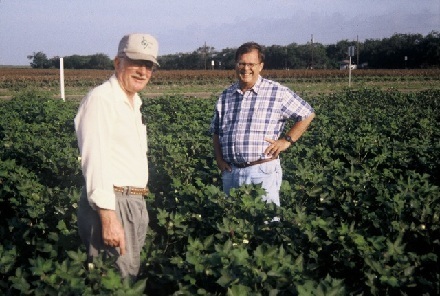 The first was organic trials on agricultural crops in the Texas Rio Grande Valley. The second was organic pecan research in Hamilton, Texas. Joe was "offered" early retirement and both areas of research were canceled. Please forward this email to everyone in your address book and all your friends on facebook and twitter so they can tune in this Sunday from 8am - 11am CST to hear Joe Bradford's compelling organic struggle on the Dirt Doctor Radio Show. Listen on the internet or Check here to find a station in your area.